Madikwe Game Reserve is the fifth largest game reserve and is also one of the lessor known parks in South Africa, located in the northern area, near Botswana. 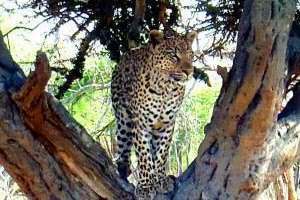 This makes it a hidden gem as it is regarded as one of the best conservation areas in Africa and offers the Big 5 and an excellent chance to see a pack of wild dogs in a malaria free area. 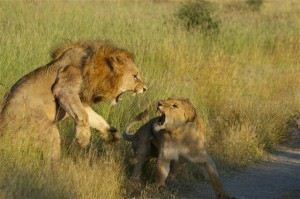 Here is a sample 8 Day Itinerary that includes a safari at Madikwe Game Reserve. The land where Madikwe now stands was previously used as farming land. The poor soil meant that farming was mostly unsuccessful and the South African government then decided that it would best be used as a national park to help economically uplift the disadvantaged area. Madikwe Game Reserve, one of South Africa’s foremost Big 5 malaria-free reserves, was envisaged not by conservationists, but by economists. They found conservation would create more income and jobs than the existing land-use, which was cattle-farming. This successful reserve is now a model that has inspired South African conservation. On paper it seemed idealistic. Yet in practice it worked. Bop Parks launched Operation Phoenix in 1991. By 1997, it had brought in more than 8 000 individual animals, the largest translocation of its kind in the world. 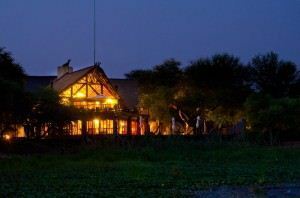 Several private companies set up very successful bush lodges within the 75 000 hectare park. And the 3 villages around Madikwe – Supingstad, Lekgophung and Molatedi – are doing very well. Women are particularly empowered – a high proportion of them are employed in the park. Social and financial upliftment aside, Madikwe is now better known as one of the best places to see the Big 5, and it also has the advantage of being malaria free. Madikwe is seen as a model of the benefits conservation can bring. The Big 5 is represented in the park and you are likely to spot lions, leopard, elephant, rhino or buffalo during your stay. During your visit you will also have the rare privilege of possibly seeing the highly endangered African Wild Dog.